Here’s another book that was on my bedside table pile that I finally finished the other night. What a good thing I did because this is the book I was looking for when we moved to Spain three years ago. 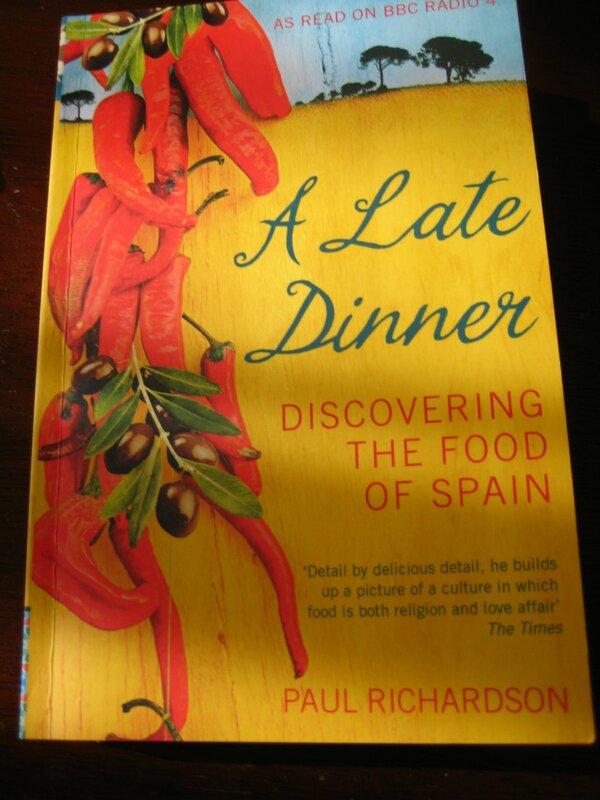 It’s a concise and interesting narrative on the food of Spain told by an expat who has been living in Spain for over twenty years. Aside from the ever-present jamon, I was beginning to have my doubts as to what the gastronomic claim to fame Spain had. Although I knew that San Sebastian and Barcelona were perhaps the most advanced in terms of Spanish cuisine, I never knew about the seafood delicacies of Galicia nor about the rivalry between Valencia and Barcelona. There are lots of tidbits – gourmet and otherwise plus a few restaurants worth visiting that are way off the beaten track. This is a must-read for all those curious to learn about the Spanish cuisine and where to go to have a taste of Spain. Salamat George! Hope you keep checking in. Thanks for the recommendation. I’ve enjoyed reading your blog. Ingat.